1. Check, Bank Check, Cheque : چیک : (noun) a written order directing a bank to pay money. He paid all his bills by check. Paycheck, Payroll Check - a check issued in payment of wages or salary. 2. Check, Check Into, Check Out, Check Over, Check Up On, Go Over, Look Into, Suss Out : جانچنا : (verb) examine so as to determine accuracy, quality, or condition. 3. Check, Assay : جانچ پڑتال - جانچ : (noun) an appraisal of the state of affairs. 4. Check : جائزہ لینا : (verb) make an examination or investigation. Examine, See - observe, check out, and look over carefully or inspect. 5. Check, Chit, Tab : ہوٹل کا بل : (noun) the bill in a restaurant. He asked the waiter for the check. Account, Bill, Invoice - an itemized statement of money owed for goods shipped or services rendered. 6. 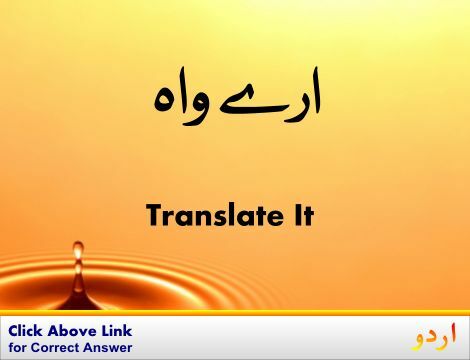 Check, Ascertain, Assure, Control, Ensure, Insure, See, See To It : پتا لگانا - جانچنا : (verb) be careful or certain to do something; make certain of something. Proof, Proofread - read for errors. 7. Check, Arrest, Halt, Hitch, Stay, Stop, Stoppage : وقفہ : (noun) the state of inactivity following an interruption. Inaction, Inactiveness, Inactivity - the state of being inactive. 8. Check, Contain, Control, Curb, Hold, Hold In, Moderate : قابو میں رکھنا : (verb) lessen the intensity of; temper; hold in restraint; hold or keep within limits. 9. 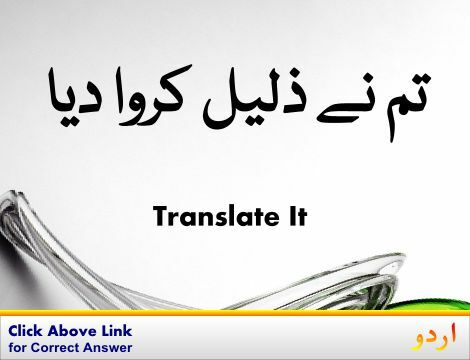 Check, Confirmation, Substantiation, Verification : تصدیق - پڑتال : (noun) additional proof that something that was believed (some fact or hypothesis or theory) is correct. Cogent Evidence, Proof - any factual evidence that helps to establish the truth of something. 10. Check : رکنا : (verb) stop for a moment, as if out of uncertainty or caution. She checked for an instant and missed a step. Halt, Stop - come to a halt, stop moving. 11. Check, Check-Out Procedure, Checkout : جانچ پڑتال کرنا - جانچ : (noun) the act of inspecting or verifying. They made a check of their equipment. Inspection, Review - a formal or official examination. 12. Check, Check Off, Mark, Mark Off, Tick, Tick Off : چیک کا نشان - ٹک کا نشان : (verb) put a check mark on or near or next to. Please check each name on the list. 13. Check, Delay, Retard : ترقی روکنا : (verb) slow the growth or development of. 14. Check, Balk, Baulk, Deterrent, Handicap, Hinderance, Hindrance, Impediment : رخنہ - رکاوٹ : (noun) something immaterial that interferes with or delays action or progress. Bind - something that hinders as if with bonds. 15. Check, Agree, Correspond, Fit, Gibe, Jibe, Match, Tally : ہم آہنگ ہونا - موافق ہونا : (verb) be compatible, similar or consistent; coincide in their characteristics. 16. Check : رکاوٹ ڈالنا : (verb) block or impede (a player from the opposing team) in ice hockey. Block, Blockade, Embarrass, Hinder, Obstruct, Stymie, Stymy - hinder or prevent the progress or accomplishment of. 17. Check, Bridle, Curb : پابندی - روک : (noun) the act of restraining power or action or limiting excess. 18. Check, Condition, Discipline, Train : تربیت کرنا : (verb) develop (children's) behavior by instruction and practice; especially to teach self-control. Mortify - practice self-denial of one's body and appetites. 19. 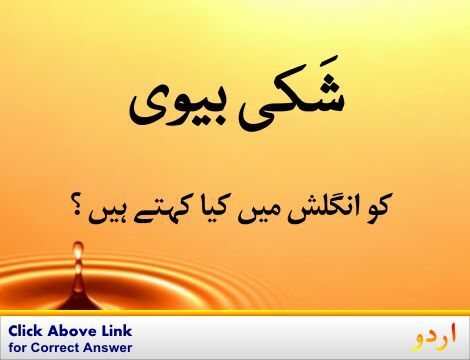 Check : رک جانا : (verb) stop in a chase especially when scent is lost. 20. Check, Arrest, Contain, Hold Back, Stop, Turn Back : سدباب کرنا - روکنا : (verb) hold back, as of a danger or an enemy; check the expansion or influence of. Defend - be on the defensive; act against an attack. 21. Check, Ascertain, Determine, Find Out, Learn, See, Watch : معلوم کرنا - جاننا : (verb) find out, learn, or determine with certainty, usually by making an inquiry or other effort. Ascertain, Assure, Check, Control, Ensure, Insure, See, See To It - be careful or certain to do something; make certain of something. 22. Check : حرکت کو روکنا : (verb) arrest the motion (of something) abruptly. He checked the flow of water by shutting off the main valve. Halt, Stanch, Staunch, Stem - stop the flow of a liquid. 23. Check, Break, Crack : چٹخنا : (verb) become fractured; break or crack on the surface only. Bank, Coin Bank, Money Box, Savings Bank : تجوری : a container (usually with a slot in the top) for keeping money at home. "The coin bank was empty"
Analyse, Analyze, Canvas, Canvass, Examine, Study : تجزیہ کرنا : consider in detail and subject to an analysis in order to discover essential features or meaning. "Analyze a sonnet by Shakespeare"
Check Girl : جانچنے والی : a female checker. Cheapness : گھٹیا پن : tastelessness by virtue of being cheap and vulgar. How this page explains Check ? It helps you understand the word Check with comprehensive detail, no other web page in our knowledge can explain Check better than this page. 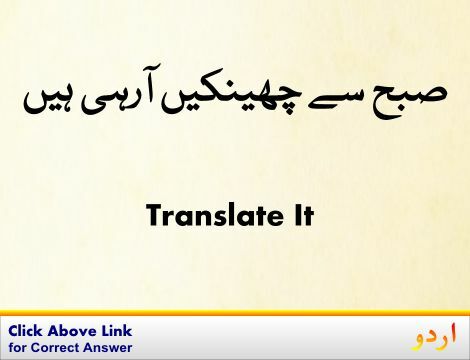 The page not only provides Urdu meaning of Check but also gives extensive definition in English language. The definition of Check is followed by practically usable example sentences which allow you to construct you own sentences based on it. You can also find multiple synonyms or similar words on the right of Check. All of this may seem less if you are unable to learn exact pronunciation of Check, so we have embedded mp3 recording of native Englishman, simply click on speaker icon and listen how English speaking people pronounce Check. We hope this page has helped you understand Check in detail, if you find any mistake on this page, please keep in mind that no human being can be perfect.